I’ve used the Samsung KZoom a few days now, and I can tell you its quite an interesting handset. Its more of a point and shoot camera than its a handset, it produces beautiful shots, even in low light conditions. Starting the camera is a little slow (compared to the iphone for example) but when you are shooting you feel a difference in quality, and the after photograph edit goes a long way and gives you very nice auto correction and photo effects. Its a little bulky but a lot less bulkier than its predecessor and fits snugly in your pocket, the screen size is just right, its not too big or too small and feels very comfortable to use. The weight is a little on the heavy side though, I would have loved to have had it when I was in Barcelona in Feb, simply put, Its great for travel, as you can be connected and have quite a decent camera with you on the go, without having to carry two devices. I’m not so sure about the battery life as i wasn’t using it as my primary phone, but the nice thing about samsung is that you can always have a backup battery with you instead of worrying about loosing charge in the middle of the day. Powered by a Exynos 5260 Quad-core 1.3 GHz Cortex A7 & dual-core 1.7 GHz Cortex A15 CPU, has 8GB internal memory with 2GB of RAm and is uses Android KitKat 4.4.2 (same interface as S5). Also Supports LTE network in Kuwait of speeds up to 150 mbps DL and 50 Mbps upload). 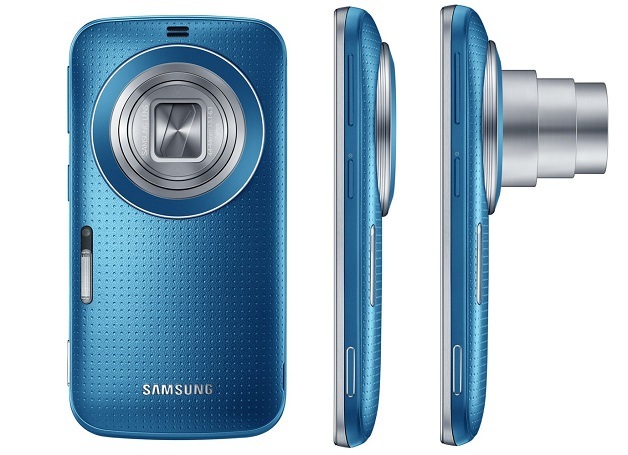 Has a 20.7 MP camera sensor with 10X optical Zoom and Xenon LED flash. Its quite affordable for it’s specs and performance and would be great as a secondary phone, especially great for bloggers or travellers who have to have a camera on the go. I will probably get one, but to be honest i’m currently waiting to see the iphone 6 and Note 4, its going to be the battle of the handsets in the coming months, will have to wait and see! Prices on the day this was written start at around 161 KD. For more information on the kZoom and good offers, check out Zain’s website here.